Maximise uptime with easy-to-use operator controls and yellow touch-points that provide quick identification to maintenance locations. Variable Drain Valve - Prevents spills and overflow. Side Cargo Net and Removable Tool Caddy - Keeps all necessary tools on board for easy access. Technician-friendly design delivers an easier and more efficient service experience and provides easy-to-access yellow maintenance touch points. 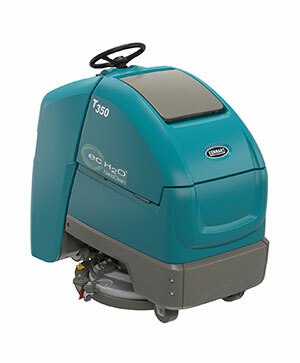 Maintain a high standard of consistently clean floors in your premises with options like the on-board wand, scrubbing side brush and pre-sweep that extends cleaning to hard-to-reach areas. 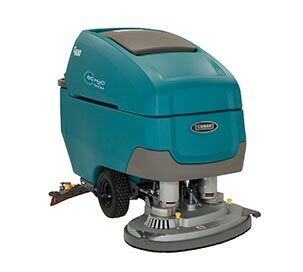 Optional On-Board Wand - Maintain a high standard of consistently clean floors in your premises with the on-board wand that extends cleaning to hard-to-reach areas. 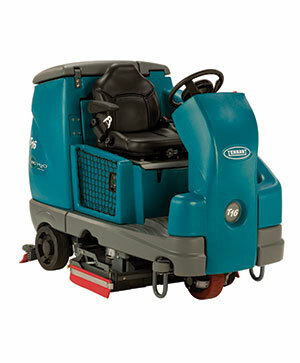 Optional Scrubbing Side Brush - Enjoy a cleaner facility with an wider cleaning path in hard-to-reach areas. Optional Pre-sweep - Improve the cleaning process and achieve a better final result using the optional pre-sweep. 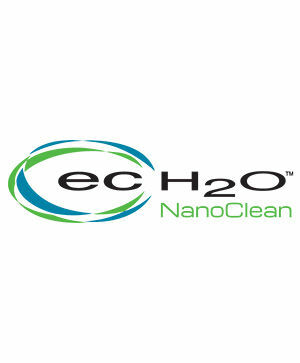 ec-H2O™ - Reduce chemical usage, chemical handling/storage and risk of slip and fall injuries with NFSI-certified ec-H2O technology. ec-H2O™ - Reduce chemical usage, chemical handling / storage, and risk of slip and fall injuries with NFSI-certified ec-H2O technology. Low dBA - Designed for quiet operation to enhance operator and visitor health. Touch-n-Go™ Controls - Simple patent-pending Touch-n-Go control module on steering wheel allows the operator to safely focus on keeping both hands on the wheel. Extend component life and reduce maintenance costs with the AC brushless propelling motor. Prevent costly squeegee damage and protect your premises with the innovative break-away squeegee. Break-Away Rear Squeegee - Prevent costly squeegee damage and protect your premises. Brushless AC Motor - Extend component life and reduce maintenance costs with the AC brushless propelling motor. Touch-n-Go™ Controls - Designed to simplify training and reduce re-work with intuitive, easy-to-understand controls. 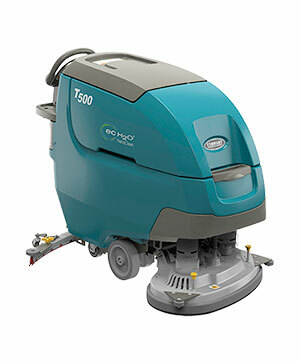 ES® Extended Scrubbing Technology - Increase productivity by scrubbing floors using 66% less chemicals than traditional cleaning methods with Extended Scrubbing technology.